Magfest 2017: Still the Best Convention Around | Community. Reviews. Pwnage. It had been two years since I stepped into the Gaylord Hotel in National Harbor for my previous Magfest experience. Back then I didn’t know what to expect, and came away thoroughly impressed (see our review of Magfest 13). This year I vowed to be even more prepared and targeted with my time. Viewing the schedule of events online I was pleasantly surprised to see that Magfest made their schedule accessible through the Guidebook app, a huge improvement from Magfest 13. I scrolled through and chose the events I thought looked interesting and set reminder alerts that would inform me when an event was about to start. The other large change from Magfest 13 was the admission cost. This year a flat rate fee covered admission for all 4 days, and there would be no single day passes. The fee varied on a sliding scale, which began around $50 a few months ago and increased to $85 at the door. I paid $80 a week prior to the event. Unfortunately that wasn’t the only change impacting the cost of attending. The free and large open parking lot I used 2 years ago near the hotel was now a pay lot. I paid $18 at one of the nearby garages for one evening (parking was free if you arrived after 8pm, however). Using Guidebook, I prioritized the computer gaming tournaments and chose to attend on Friday, which seemed jam packed with action: There was a League of Legends tournament from 11am-5pm, a Hearthstone Tournament from noon-6pm, a Starcraft 2 Tournament from 5-9pm, a CS:GO Tournament from 5-11pm, an Overwatch 3v3 Tournament from 6pm-12am, and a DOTA 2 tournament from 8pm-2am. I planned to spend a good deal of my time in an adjoining theater where the tournaments were to be live streamed and shoutcasted. I arrived at the Gaylord shortly after 5pm on Friday and navigated my way towards the convention hall and the registration desk. I found registration a breeze, with virtually no line. This was in stark contrast to my arrival two years ago when I had to wait in a long line for over 20 minutes. 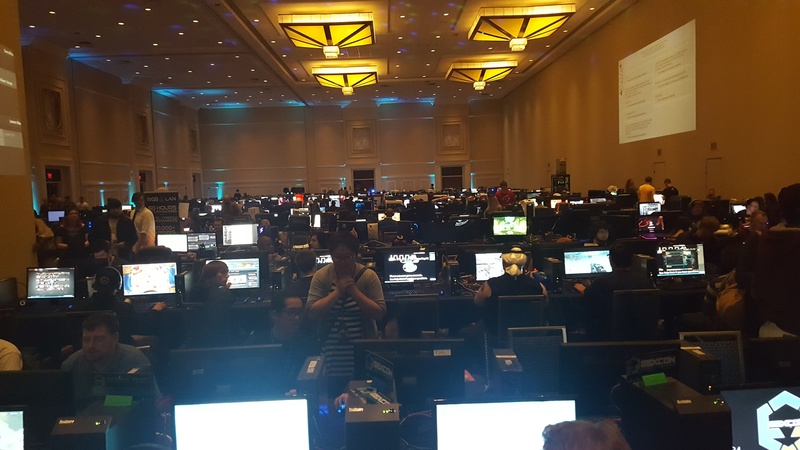 Happy to have some extra time before the Overwatch tournament started at 6, I made my way to the adjoining halls which featured hundreds, if not thousands, of free to play video games. 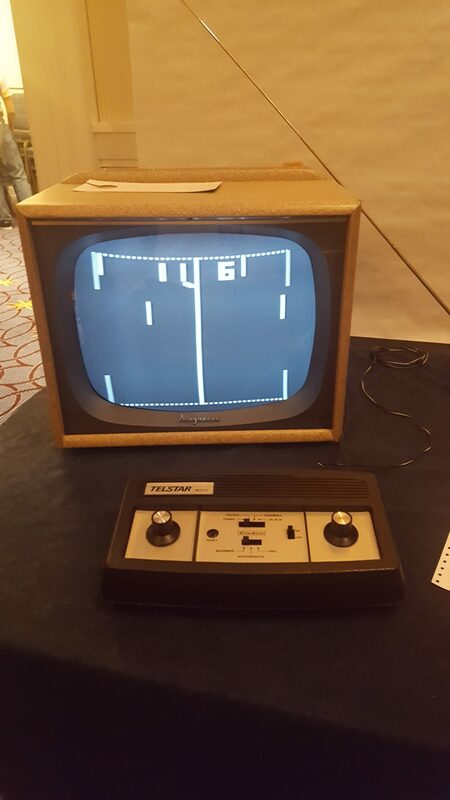 Virtually any game you can remember or imagine, Magfest had it, and had it in style. Want to play Mario on the Nintendo with a life-size controller and big screen? Check. How about virtual reality simulators? Check. Some of your favorite console games? Of course. What about Pinball? Yep. Want to get sweaty with any version of Dance Revolution? You bet. What about just some old school ski ball? Yeah, even that too. I was once again impressed. And if you were worried about having a turn on your favorite game, relax. The gaming area never seemed to have long waits or lines, except for people wanting to try the virtual reality machine (and let’s face it that makes a lot of sense). In the same general location was the vendor area which featured tons of booths packed with merchandise. There was no shortage of ways to spend your money on awesome bling. While walking around I stopped at a booth and had the pleasure of meeting Mr. Hilton George, the Chairman of blerDCon. BlerDCon is a new convention set to kick off this summer specifically designed to showcase the contributions of minorities to anime, comic books, sci-fi, gaming and cosplay. On the surface it seems like a really great concept for a con, and I’m making plans to attend it later this year. Mindful of the time I headed towards the computer LAN room. As I entered the dimly lit room I noticed a small oculus rift virtual reality station to my left, a projected screen showing current tournament gameplay on my right, and in front of me tons of rows of tables and computers. I walked through the rows admiring the beautiful construction of people’s PCs and gained an appreciation for the diverse amount of games everyone was playing simultaneously. The other thing I noticed, was how quiet the room really was. For a room full of gamers, there were few outbursts of profanity or jeers. And for an ongoing tournament, it was oddly quiet. To my disappointment I learned that they were not livecasting the Overwatch tournament, but as consolation the CS:GO tournament was starting soon and would be. Surely I figured this room and the adjoining simulcast room would have some more energy and excitement when the tournament kicks off. The nearby livestream room felt quite small in comparison but still had room for about 20-30 seats, a huge projected screen, and the announcers who were tucked to the front left side of the room. As the CS:GO tournament got underway, the problems began. There were connectivity issues with the livestream, preventing a smooth simulcast. Once resolved, the announcers did a poor job of communicating which team was playing on which side, always referring to the teams as “Terrorists” or “CounterTerrorists” and never by their clan names, resulting in audience confusion. Adding to the problem the clans were not using their clan tags during gameplay. With only a handful of people in the simulcast room with me and no room energy on top of poor announcing, I decided my time at Magfest was best spent elsewhere. Returning only a short while later reconfirmed my decision to have left, finding the brackets on the big screen replaced instead by episodes of Futurama. Clearly I made the right choice in leaving. 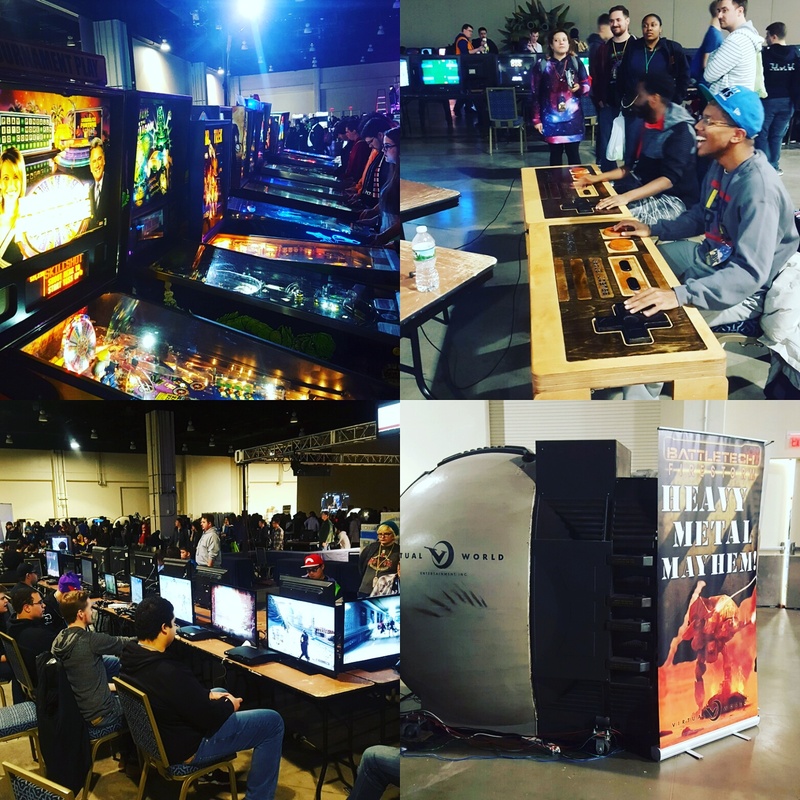 While fun, Magfest is still more about the casual gaming experience than attempting to seriously embrace the emerging competitive e-sports world that is rapidly growing. 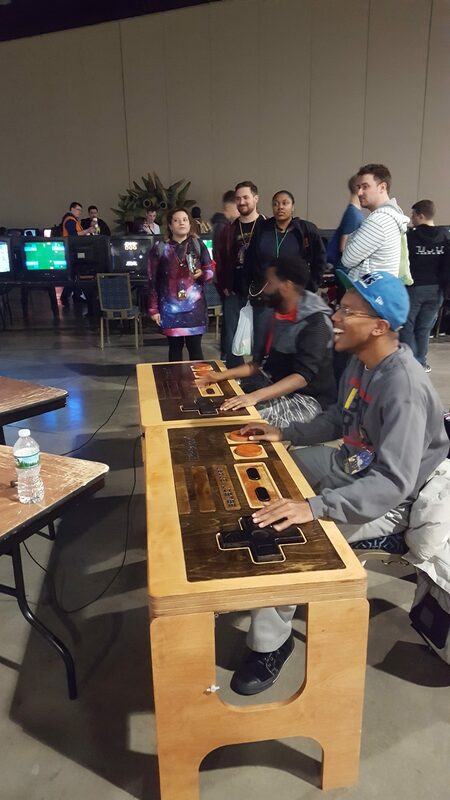 With my plans to watch the various gaming tournaments altered, I began to explore the other aspects of Magfest. Nearby I found a concert stage in the hallway featuring the NPC Collective musical hip-hop and jazz group. After a minute of listening I knew I had stumbled upon something special. Mixing lyrical speed, hip-hop beats, intelligent nerdy rhymes, and a jazz overlay, NPC Collective delivered a witty and unique performance. If you like the sound of that musical fusion, you’re in for a treat. I fully plan to track their progress and hopefully see them perform again soon. I quickly spent a few more minutes wandering around the other parts of Magfest, including the concert hall just in time to catch the end of Schaffer the Dark Lord. I further walked over to the table top game room, where you can find hundreds of the most popular games to rent out and play at will. I was quite impressed with the selection of games available and pleased to see a lot of people taking advantage of them. Lastly, I headed over to the Magfest historical computer and gaming museum, which featured the actual gaming hardware from the 1970s through to the 1990s. It was a nice impressive walk down memory lane and a reminder on how far gaming and society has come in just a short period of time. While not necessary, it was such a treat to be able to see and walk through, and I applaud Magfest for including the display. I wish I could say that that this is a thorough review of Magfest, but I wholeheartedly realize how much of it I did not see or experience. What I can tell you though, is that by far this is the most complete gaming, nerdy, and technology driven event I have been to in the area and it continues to improve. 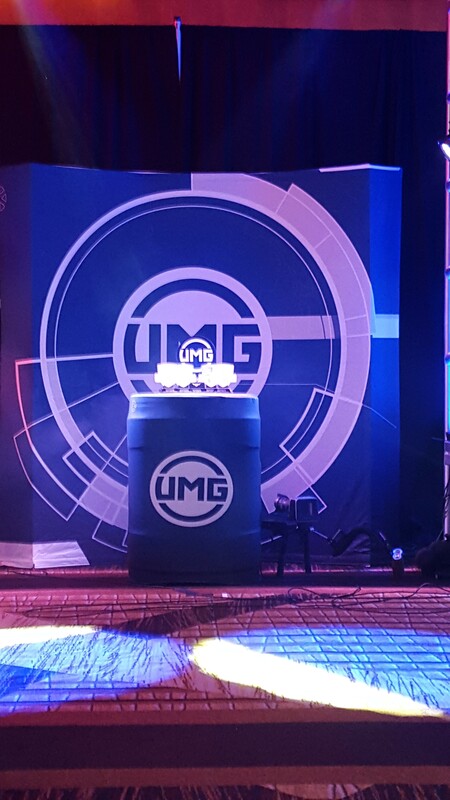 My only hope is that the gaming tournaments mature a little more so that watching them becomes as fun if not more than participating in them. 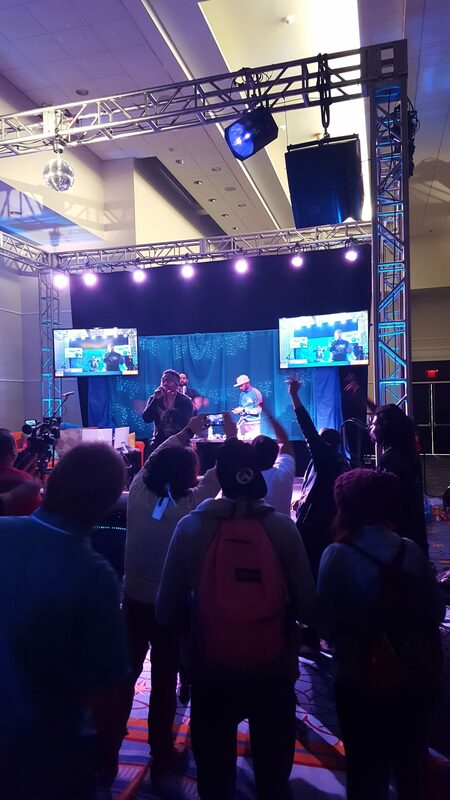 I continue to solidly recommend Magfest as a premier event, and can’t wait until next year when it comes again. For all of our Magfest 2017 photos click HERE!